Pinelands Music Festival Tickets On Sale NOW! Last week, Pinelands Music Festival announced their first day-long event on August 15, 2015 at the New Jersey Motorsports Park in Millville, New Jersey. Amidst a beautiful forested region, Pinelands is conveniently located 45 minutes from both Philadelphia and Atlantic City, and just under 3 hours from NYC, Washington D.C., and Baltimore. Tickets for Pinelands are on-sale now! Fans can head to www.pinelandsfest.eventbrite.com for a special limited early bird general admission ticket ($65), VIP ($150), and advance parking ($10). Pinelands Music Festival will showcase over 20 bands and take place across three stages one of which will spotlight local/regional acts. The confirmed 2015 line up includes: The Early November, Jukebox The Ghost, Hellogoodbye, Good Old War, X Ambassadors, You Blew It!, You Me & Everyone We Know, A Great Big Pile of Leaves, Northern Faces, Young Statues, Raccoon Fighter, Where The Ocean Meets The Sky, Locals, SleepyFace, Cheezy & The Crackers and more to be announced each month leading up to the festival. Pinelands Music Festival differs from other festivals of it’s size mainly in aesthetics. Tucked into the remote Pine Barrens of New Jersey, the forest breaks open to reveal an outstanding venue with plenty of amenities making it the perfect venue for a music festival. It offers the “destination festival” feel while remaining in close proximity to some of the biggest cities in the US. In addition, 90% of the 2015 lineup calls the surrounding areas home, offering up nostalgia and hometown pride to the community. 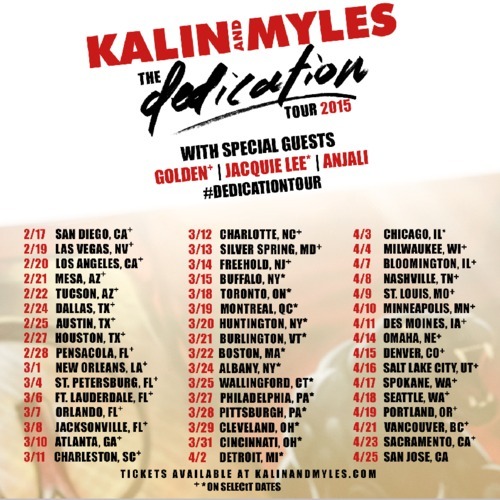 $75 for General Admission (Get the early bird special now for $65)! Pinelands Music Festival Set For August 15th! 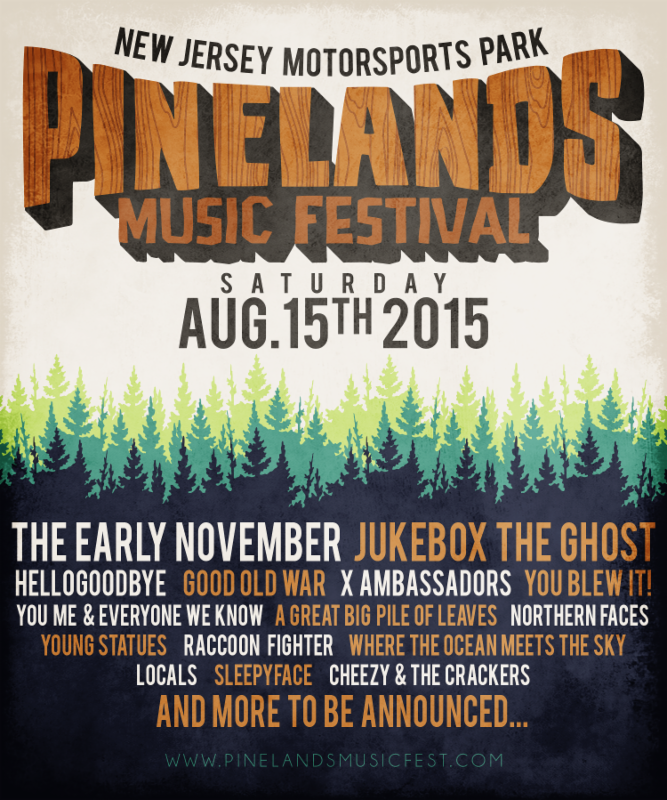 Today, Pinelands Music Festival is excited to announce their first day-long event on August 15, 2015 at the New Jersey Motorsports Park in Millville, New Jersey. Amidst a beautiful forested region, Pinelands is conveniently located 45 minutes from both Philadelphia and Atlantic City, and just under 3 hours from NYC, Washington D.C., and Baltimore. Tickets for Pinelands will go on sale Friday February 27th at Noon EST. Pinelands Music Festival will showcase over 20 bands and take place across three stages one of which will spotlight local/regional acts. The confirmed 2015 line up includes: The Early November, Jukebox The Ghost, Hellogoodbye, Good Old War, X Ambassadors, You Blew It!, You Me & Everyone We Know, A Great Big Pile of Leaves, Northern Faces, Young Statues, Raccoon Fighter, Where The Ocean Meets The Sky, Locals, SleepyFace, Cheezy & The Crackers and more to be announced. Spare Your Time For The 9th Annual Stars & Strikes Celebrity Bowling & Poker Tournament Is Here — Details! The pins will be flying and the cards clicking when the 9th Annual Stars & Strikes Celebrity Bowling & Poker Tournament kicks off on Thursday, March 12, 2015 at 7:00 p.m. at the PINZ Bowling Center in Studio City, CA. Proceeds from the star-studded event, which will end at 11 p.m., will support the important work of A Place Called Home (APCH), a safe haven of opportunity for under-served youth in South Los Angeles. Tickets are on sale now for the all-ages high-energy benefit, which will feature 32 lanes of bowling action and a No-Limit All-In Texas Hold ’Em professional-level poker tournament. The latter has already attracted the participation of the Royal Flush Girls, noted professional female poker players. The annual Stars & Strikes event raises funds and awareness for APCH, which supports inner-city youth and empowers them to take ownership of the quality and direction of their lives through programs in education, the arts, nutrition and fitness, as well as through college preparation and college scholarships. Over the past eight years, Stars & Strikes has raised more than $1,000,000 for APCH’s free programs. APCH expects a number of celebrities from the entertainment and sports worlds to attend and participate in Stars & Strikes this year. To date, these include several LA Galaxy players and Eden xo, singer-songwriter and dancer. More VIPs will be confirmed as the event draws closer. KIIS-FM is a major sponsor of Stars & Strikes. Previous years’ celebrity ambassadors and supporters include: Cee-Lo Green, music artist/producer; Miley Cyrus, actor/music artist; Pete Wentz, music artist; Ryan Tedder, music artist, OneRepublic/producer; Coldplay, music artist; Mark Wahlberg, actor/musician; Jonah Hill, actor; Howie Mandel, actor; Penny Marshall, director; Nick Cannon, music artist/actor/TV host; Keke Palmer, actor; Jason Derulo, music artist; Ariana Grande, music artist; Austin Mahone, music artist; The Wanted, music artist; Red One, producer; Dr. Luke, producer; Cody Simpson, music artist; Verne Troyer, actor; Scott Disick, reality TV star; Matthew Lillard, actor; “That 70’s Show” star Wilmer Valderama; Benji and Joel Madden, music artists; and, many others. For more information and to purchase tickets and sponsorships, please visit www.starsandstrikesforapch.org. Panelists For 32nd Annual PaleyFest Announced — Check It Out! The Paley Center for Media today revealed the initial lineup of special guest panelists scheduled to appear at the 32nd annual TV fan festival PALEYFEST LA from March 6-15, 2015 at the Dolby Theatre at Hollywood & Highland. The William S. Paley Television Festival event will feature television’s biggest stars and celebrate standout series Homeland, The Good Wife, Girls, Scandal, Teen Wolf, Outlander, Glee, Arrow, The Flash, Modern Family, Jane The Virgin, and American Horror Story: Freak Show, and a special salute to Comedy Central will showcase: Broad City, Key & Peele, Kroll Show, Review, and Workaholics. Additional panelists and moderators will be announced. WHAT: PALEYFEST is an annual festival that salutes creative excellence and highly acclaimed TV programming, and offers a weeklong pop-culture experience that connects fans with the casts and creators of their favorite TV series. PALEYFEST’s schedule of programs will delight attendees with exclusive behind-the-scenes scoops and breaking news about their favorite shows, along with the unique opportunity to interact with them through Q&A panels. Yahoo Screen will exclusively live stream the interactive panel sessions in addition to offering video on demand (VOD) content following each event, and can also be accessed through the Paley App and Yahoo Screen App. The Paley App and the website are the destinations for ongoing PALEYFEST announcements, and the portals to ticket sales and content, including photos and video clips from Festival events. Fans are invited to follow @paleycenter on Twitter for immediate announcements and live tweeting from the events, and to join in the conversation with #PaleyFest. For more information on tickets, live streaming on Yahoo Screen, and to download the Paley App, please visit paleyfest.org. The Festival benefits the Paley Center’s preservation and archival digitization efforts, and its ongoing mission to explore the significant impact of media on our culture and society. TICKETS: Individual tickets to PALEYFEST LA 2015 events at the Dolby Theatre are currently on sale via paleyfest.org, and at (800) 745-3000. Festival tickets are also available at the Dolby Theatre box office during the Theatre’s regular business hours. For more information on tickets, including Citi cardmembers’ access to preferred tickets, visit paleyfest.org. ‘Launch Music Conference’ Announces Second Round Of Panelists & Artists — Details Here! LAUNCH Music Conference and Festival is a jam-packed weekend full of panels, seminars, parties, events and performances. Happening in the beautiful Lancaster County Convention Center and surrounding venues from April 23rd – 26th, industry go-getters and artists are encouraged to meet, network and further their careers all weekend long. During the day, participants can attend a number of panels featuring some of today’s top professionals in the industry including Howard Hertz (Hertz Schram PC), Nick Storch (Artist Group Intl. ), and Vince Edwards (Metal Blade Records). At night, LAUNCH Music Conference takes over downtown Lancaster featuring nearly 200 artist showcases from all over the country, representing a variety of musical styles – from rock, folk, pop, punk, singer/songwriter, americana, indie and more. 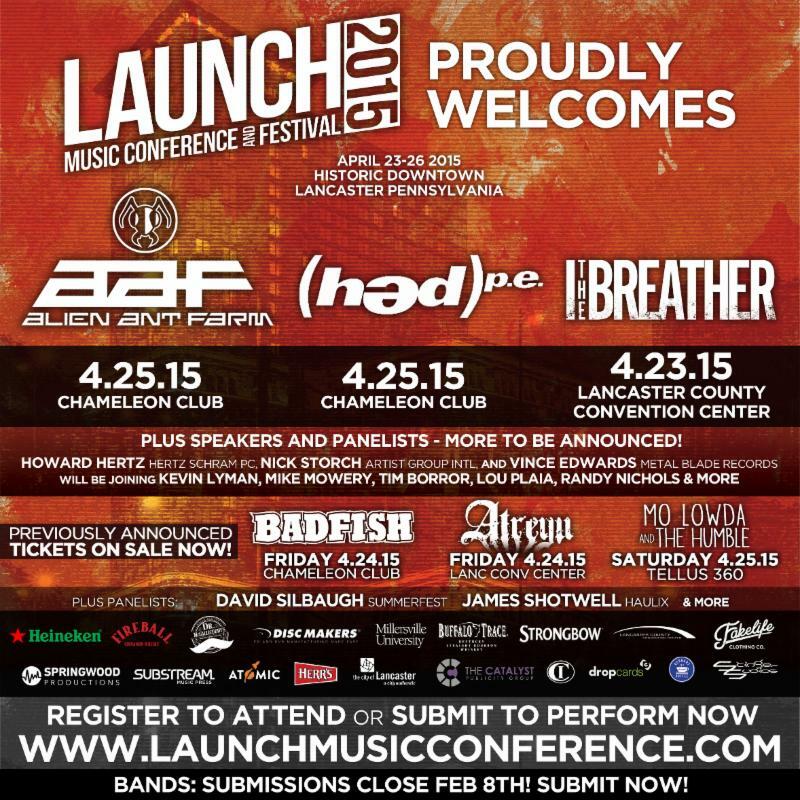 Today, LAUNCH Music Conference is also pleased to welcome artists Alien Ant Farm, (HED) p.e., and I The Breather with the full list of invited acts to be announced Monday, March 9th. Artists are encouraged to register to attend and submit to perform now. The following phase one badge pricing is available. 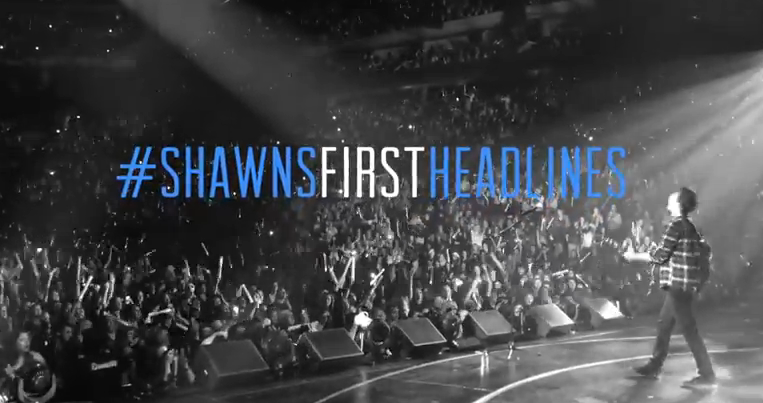 Ticket prices will increase beginning February 9th. Earlier this month, LAUNCH Music Conference announced their first wave of panelists, artists and seminars including: Kevin Lyman (Vans Warped Tour), Mike Mowery (Outerloop Management), David Silbaugh (Milwaukee Summerfest), Tim Borror (The Agency Group), Lou Plaia (Reverbnation), Randy Nichols (Force MGMT), James Shotwell (Haulix), Jen Kellogg (Vans Warped Tour / The Entertainment Institute), Joyce Dollinger (Ent. Attorney) with performances by Badfish, Atreyu, and Mo Lowda and The Humble and breakout session with Vocal Coach Deborah “Zuke” Smith (Frank Iero, The Voice). LAUNCH Music Conference is sponsored by Heineken, Fireball, Dr. McGillicuddy’s, Disc Makers, Millersville University, Strongbow, Lancaster County Convention Center, Substream Music Press, Atomic, Herr’s, The City of Lancaster, The Catalyst Publicity Group, CI, dropcards, Gerhart Coffee, and more to be announced. Meet & Mingle With Megan Nicole In Monterey, California! — Details!!! There’s no doubt you won’t pass up an awesome opportunity to meet with the awesome Megan Nicole, right? Well, for those fans in Monterey, California and surrounding areas, don’t let this slide through your fingers! All you need to do is purchase a ticket so you can hangout with Megan Nicole at The Golden State Theatre on January 31st! You’ll enjoy snacks, a selfie with Megan, an autographed copy of Escape and so much more! Just go to the Adventures in Wonderland website HERE for all the details and ticket purchases! Are you making plans to see Megan?